B.Sc. Food Science and Quality control, P.G. Dip. In Dietetics, M.Sc. Why additional diet is required during pregnancy and lactation? What are the nutrients that require special attention? Pregnancy is physiologically and nutritionally a highly demanding period. Extra food is required to meet the requirements of the fetus. Undernutrition starts as early as during conception. Because of extensive maternal undernutrition (underweight, poor eight gain during pregnancy, nutritional anaemia and vitamin deficiencies). A lactating mother requires extra food to secrete adequate quantity/ quality of milk and to safe guard her own health. Additional foods are required to improve weight gain in pregnancy (10-12 Kg) and birth weight of infants (about 3 Kg). The daily diet of a woman should contain an additional 350 calories, 0.5 g of protein during first trimester and 6.9 g during second trimester and 22.7 g during third trimester of pregnancy. Some micronutrients are specially required in extra amounts during these physiological periods. 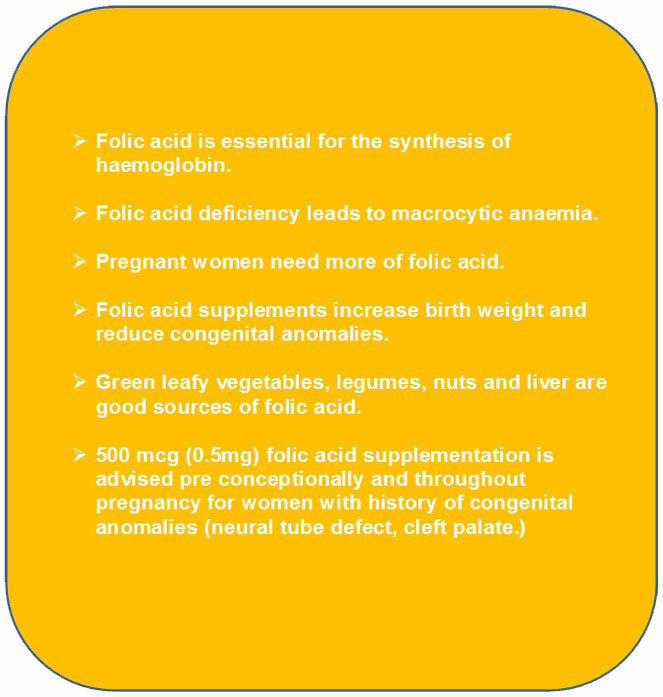 Folic acid, taken throughout the pregnancy, reduces the risk of congenital malformations and increases the birth weight. The mother as well as the growing fetus needs iron to meet the high demands of erythropoiesis (RBC formation). Calcium is essential, both during pregnancy and lactation, for proper formation of bones and teeth of the offspring, for secretion of breast-milk rich in calcium and to prevent osteoporosis in the mother. Similarly, iodine intake ensures proper mental health of the growing fetus and infant. Vitamin A is required during lactation to improve child survival. Besides these, nutrients like vitamin B12 and vitamin C need to be taken by lactating mother. How can the pregnant and lactating women meet these nutritional demands? The pregnant/lactating woman should eat a wide variety of foods to make sure that her own nutritional needs as well as those of her growing foetus are met. There is no particular need to modify the usual dietary pattern. However, the quantity and frequency of usage of the different foods should be increased. She can derive maximum amount of energy (about 60%) from rice, wheat and millets. Cooking oil is a concentrated source of both energy and polyunsaturated fatty acids. Good quality protein is derived from milk, fish, meat, poultry and eggs. However, a proper combination of cereals, pulses and nuts also provides adequate proteins. Mineral and vitamin requirements are met by consuming a variety of seasonal vegetables particularly green leafy vegetables, milk and fresh fruits. 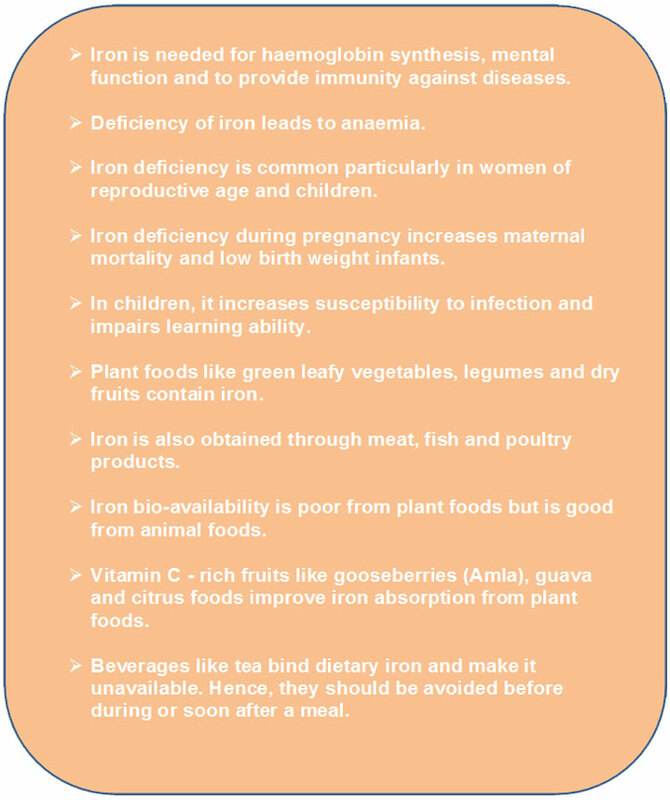 Bioavailability of iron can be improved by using fermented and sprouted grams and foods rich in vitamin C such as citrus fruits. Milk is the best source of biologically available calcium. 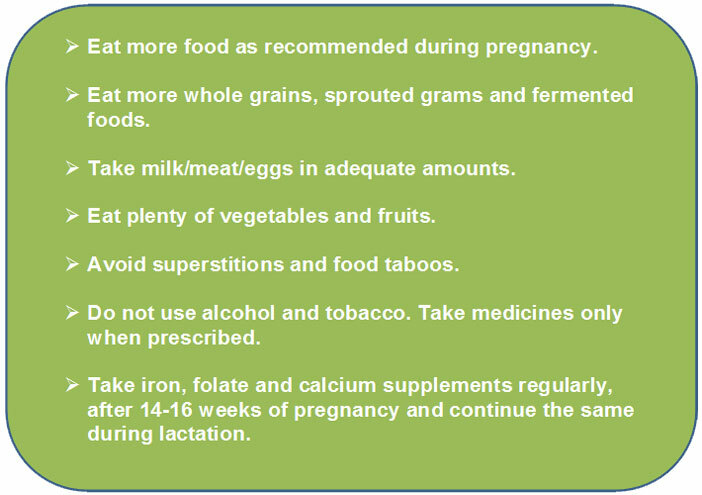 Though it is possible to meet the requirements for most of the nutrients through a balanced diet, pregnant/lactating women are advised to take daily supplements of iron, folic acid, vitamin B12 and calcium. What additional care is required? Adequate intake of a nutritious diet is reflected in optimal weight gain during pregnancy (10 kg) by the expectant woman. She should choose foods rich in fibre (around 25 g/1000 kcal) like whole grain cereals, pulses and vegetables, to avoid constipation. She should take plenty of fluids including 8-12 glasses of water per day. Salt intake should not be restricted even to prevent pregnancy-induced hypertension and pre-eclampsia. Excess intake of beverages containing caffeine like coffee and tea adversely affect fetal growth and hence, should be avoided. In addition to satisfying these dietary requisites, a pregnant woman should undergo periodic health check-up for weight gain, blood pressure, anaemia and receive tetanus toxoid immunization. She requires enough physical exercise with adequate rest for 2-3 hrs during the day. 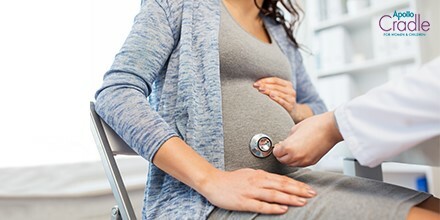 Pregnant and lactating women should not indiscriminately take any drugs without medical advice, as some of them could be harmful to the fetus/baby. Smoking and tobacco chewing and consumption of alcohol should be avoided. Wrong food beliefs and taboos should be discouraged. The most important food safety problem is microbial food borne illness and its prevention during pregnancy is most important. Avoiding contaminated foods is important protective measure against food borne illness. Source: NIN, ICMR guidelines .